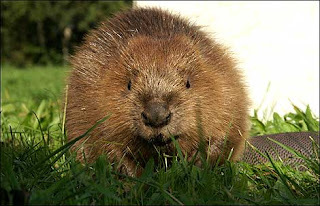 True Wild Life | Beaver | Beavers are most well known for their distinctive home-building that can be seen in rivers and streams. 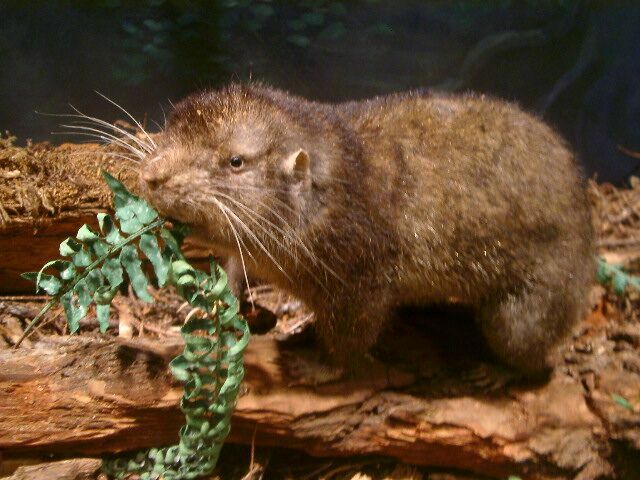 The beavers dam is built from twigs, sticks, leaves and mud and are surprisingly strong. Here the beavers can catch their fish and swim in the water. Beavers are nocturnal animals existing in the forests of Europe and North America (the Canadian beaver is the most common beaver). Beavers use their large, flat shaped tails, to help with dam building and it also allows the beavers to swim at speeds of up to 30 knots per hour. The beaver's significance is acknowledged in Canada by the fact that there is a Canadian Beaver on one of their coins. The beaver colonies create one or more dams in the beaver colonies' habitat to provide still, deep water to protect the beavers against predators. 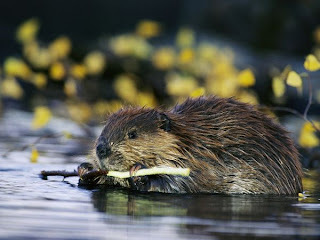 The beavers also use the deep water created using beaver dams and to float food and building materials along the river. 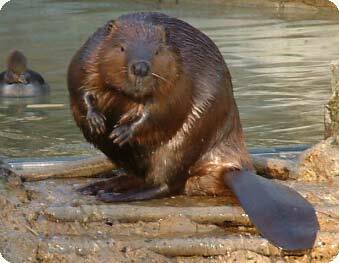 Beavers are known for their danger signal which the beaver makes when the beaver is startled or frightened. A swimming beaver will rapidly dive while forcefully slapping the water with its broad tail. This means that the beaver creates a loud slapping noise, which can be heard over large distances above and below water. This beaver warning noise serves as a warning to beavers in the area. Once a beaver has made this danger signal, nearby beavers dive and may not come back up for some time. Beavers are slow on land, but the beavers are good swimmers that can stay under water for as long as 15 minutes at a time. In the winter the beaver does not hibernate but instead stores sticks and logs underwater that the beaver can then feed on through the cold winter.